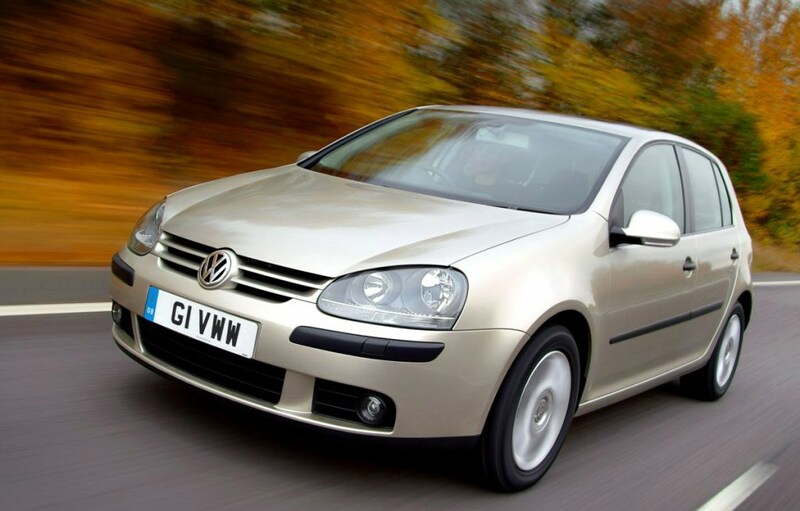 Which Volkswagen Golf engine is best for me? There’s a wide choice of engines to choose from, ranging from the somewhat flaccid 75hp 1.4 up to the 16v 200hp 2.0 TFSI in the GTI. In between, there’s also a 1.6 FSI (fuel stratified injection), a fast and flexible 150hp 2.0-litre normally-aspirated petrol, and a punchy 140hp 2.0 TDI turbodiesel. 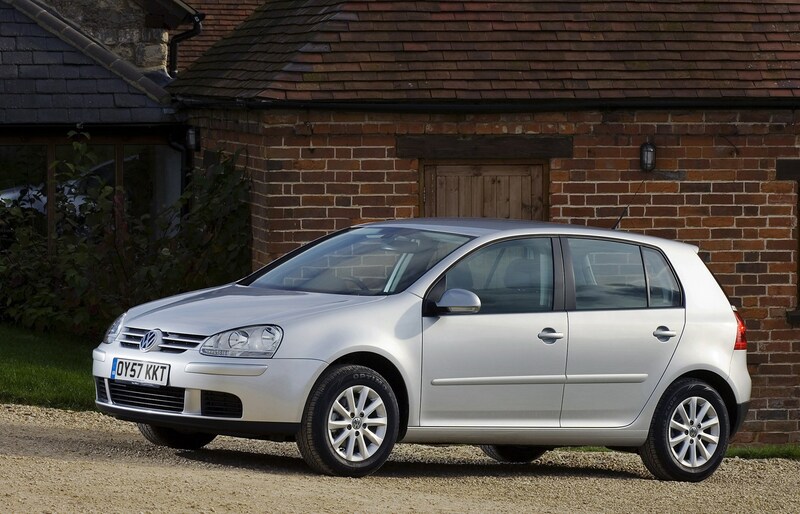 The pick of the bunch is the GT TDI with its talented DSG transmission or the lively 1.6 FSI petrol. 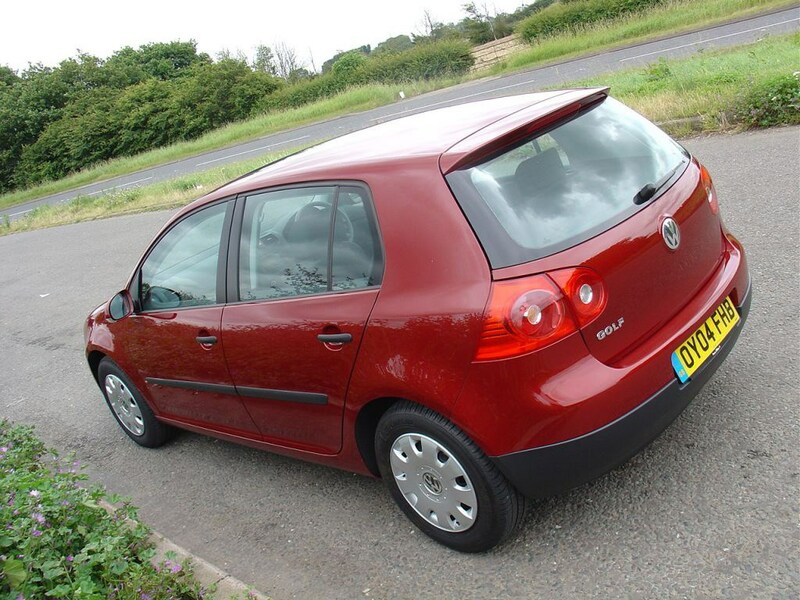 The staggeringly quick but frugal 2.0 TDI 170 is also an excellent choice. 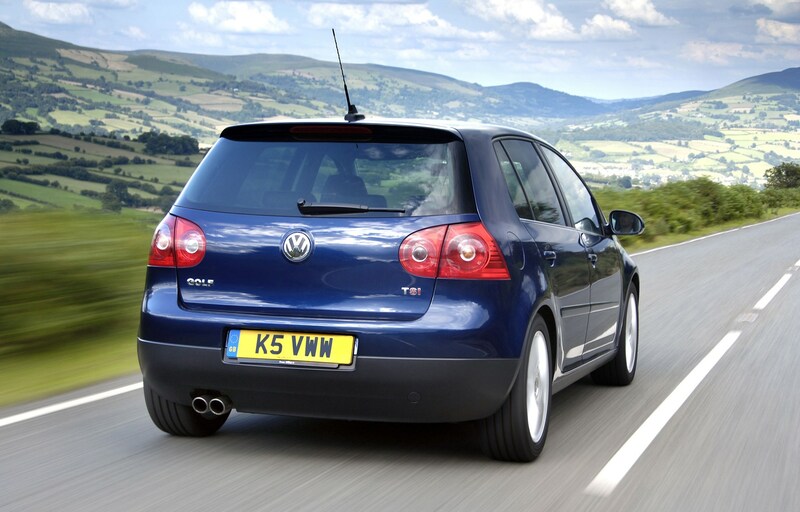 A range of new engines appeared in the summer of 2006, including the 140bhp 1.4 TSI/TFSI twincharger (turbocharged and supercharged) petrol that appeared in the MkV GT. 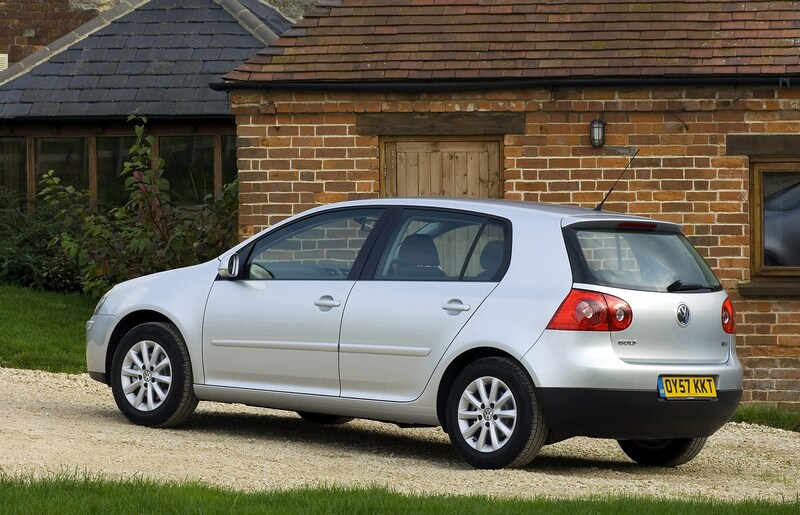 From 2007 there was also the highly fuel efficient BlueMotion (above), which could eke out 62.8mpg. 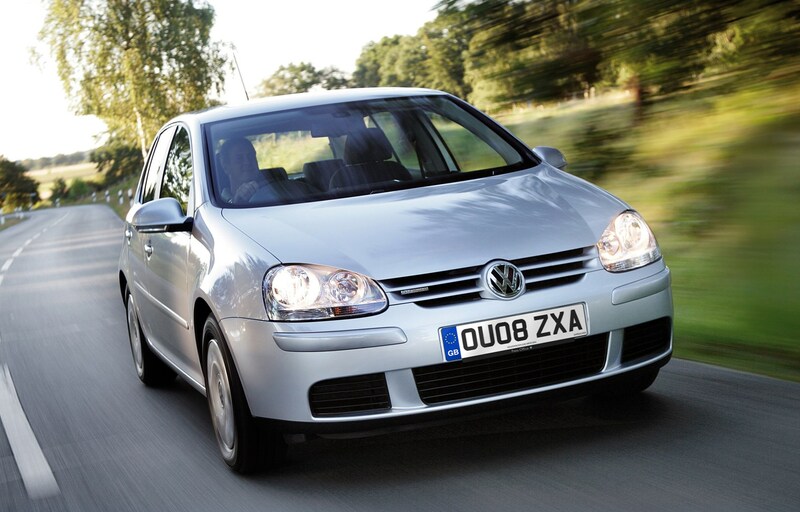 In late 2007, the 1.6 FSI petrol engine was replaced by the new chain-driven 123hp 1.4 TSI fitted with just a turbo. As you would expect, all units should prove reliable if looked after, but it would be a mistake to be complacent when buying cars with missing history or obvious running problems. The plastic timing belt tensioner on the 1.4 16v can fail, so confirm that it was replaced at the same time as the timing belt, due for replacement every 60,000 miles. On the GTI it’s not an easy job. 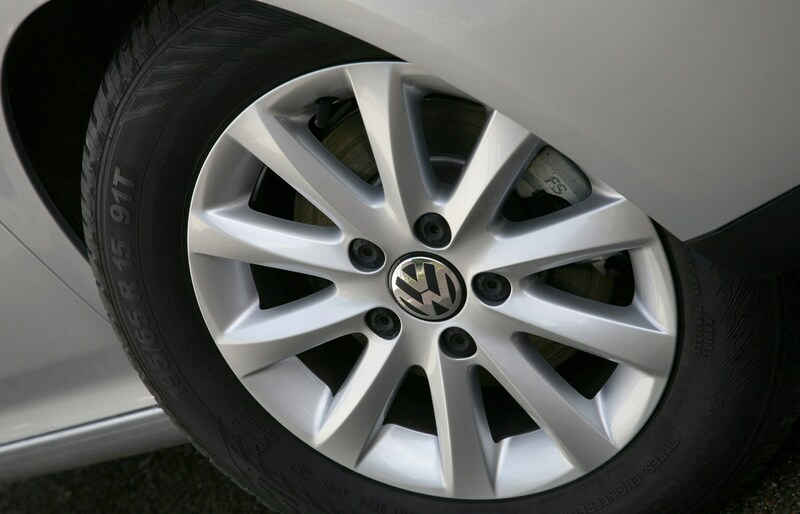 While still on the GTI (above) watch for boost leaks – as the cars get older this is becoming more common. A common issue on FSI engines concerns worn cam followers for the high-pressure fuel pump. 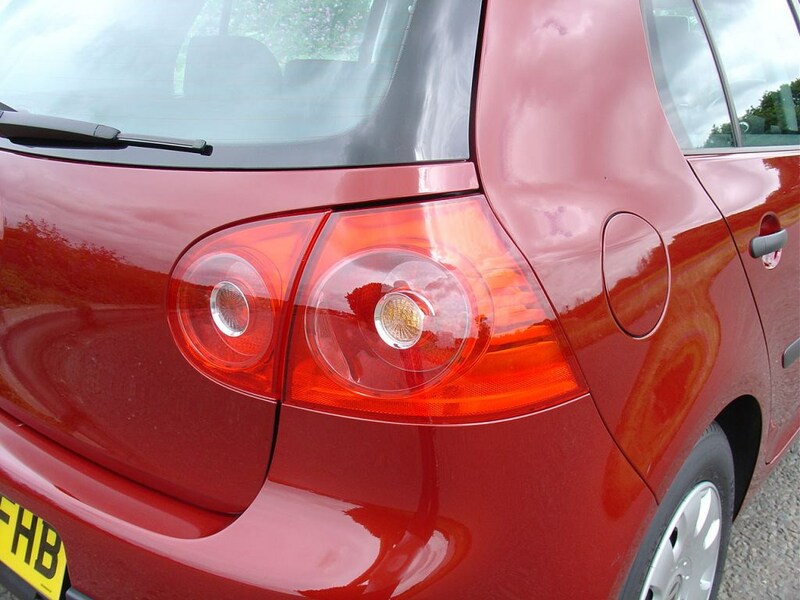 If a car cuts out for no reason, or the engine check light is illuminated, it could be on its way out. If it does fail, the damage can be expensive to remedy. A receipt showing that the cam follower and seal have been replaced will offer peace of mind. 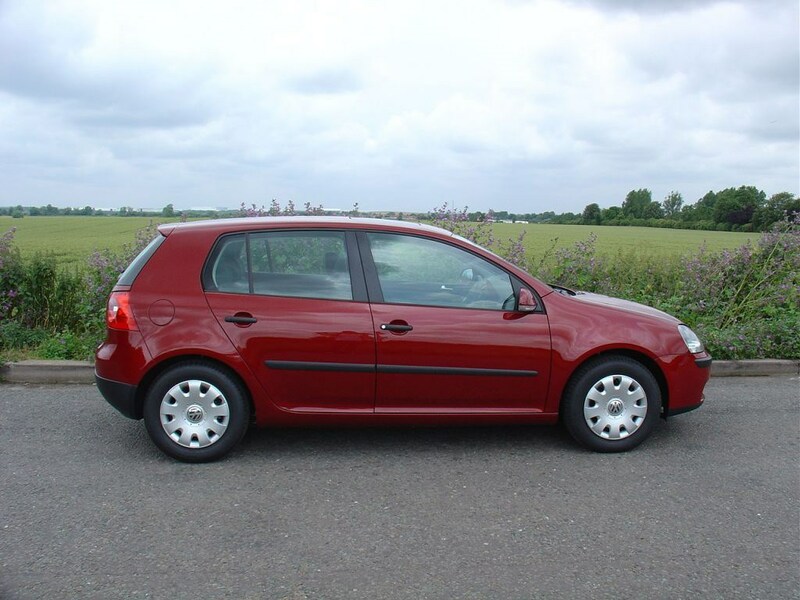 The 1.4 TSI had a timing chain, and if it’s not been treated to fresh, quality oil it can stretch and rattle, so listen for this. 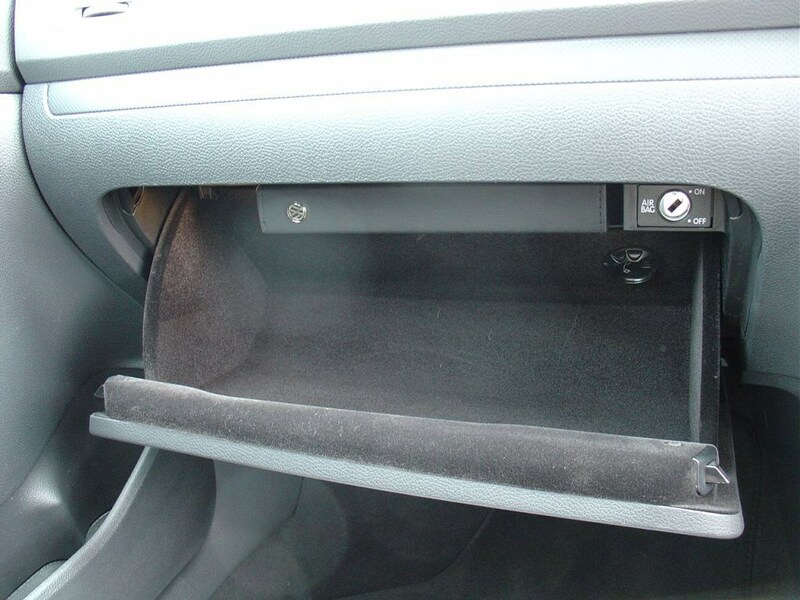 The PD diesels are reliable, but if you notice a distinct lack of power or, worse, if it goes into ‘limp-home’ mode while on a test drive it could be suffering from a clogged variable vane turbo. 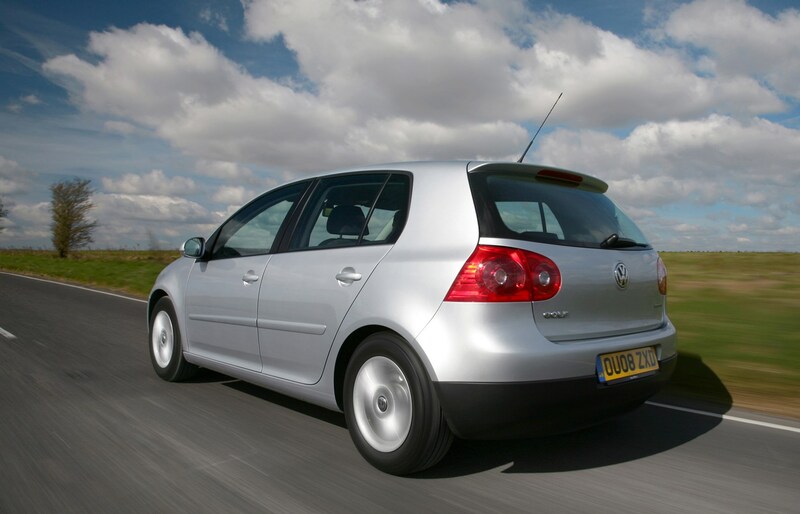 The 2006-2009 Siemens Piezo injector engines, as fitted to the 2.0 TDI BMN, are less reliable and there was a recall in 2012. Lift pumps can let go and the earliest 2.0 PD engines had a complicated fuel cooling system that is also troublesome. Any MkV that doesn’t run perfectly should be viewed with suspicion. 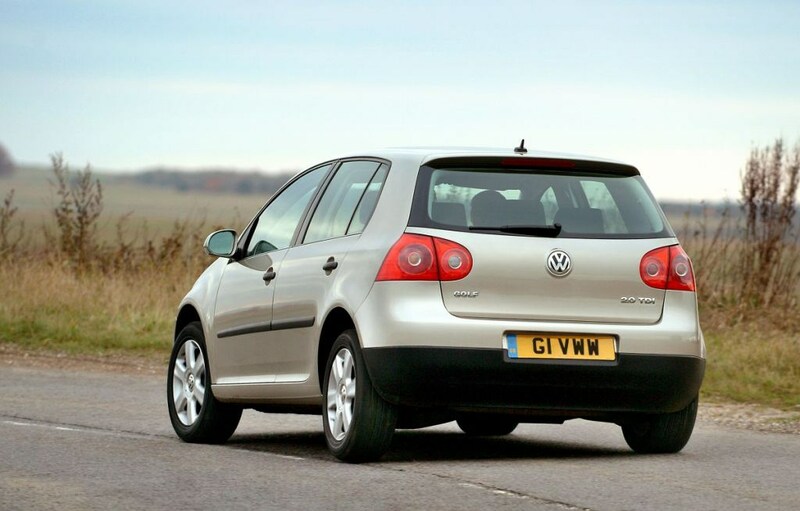 The 140 and 170hp TDI was fitted with a Diesel Particulate Filter (DPF) from 2007, so watch for any warning lights. 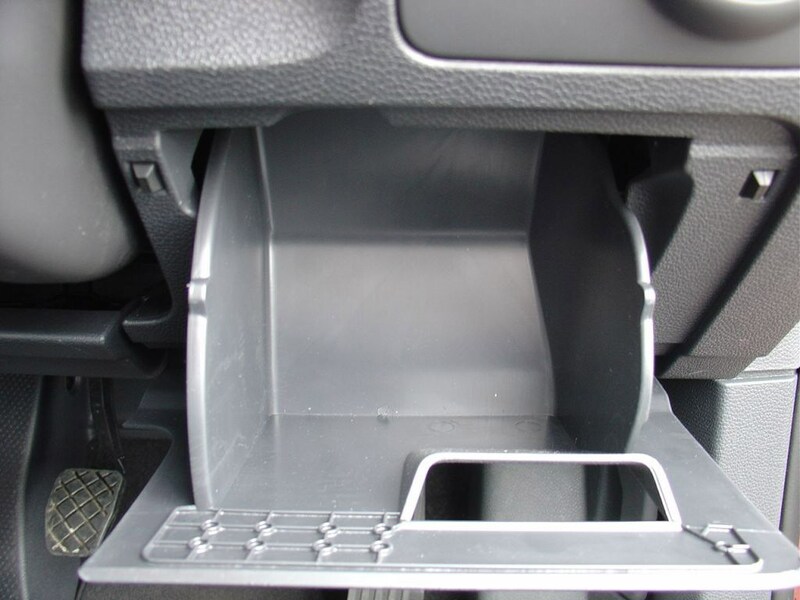 Thankfully, the late-2008 common rail 2.0-litre diesel (identified by its four-digit engine code and angled manifold mouldings on the plastic engine cover) is largely trouble-free and very smooth. PD engines require oil that meets VAG specifications – namely 505.01 (fixed servicing) or 507.00 (variable) – so search through receipts to ensure it’s been used, otherwise the car might have suffered camshaft wear. A sign of a fastidious previous owner is if they’ve changed the oil and filter every 7000 miles and used a long-life brew. 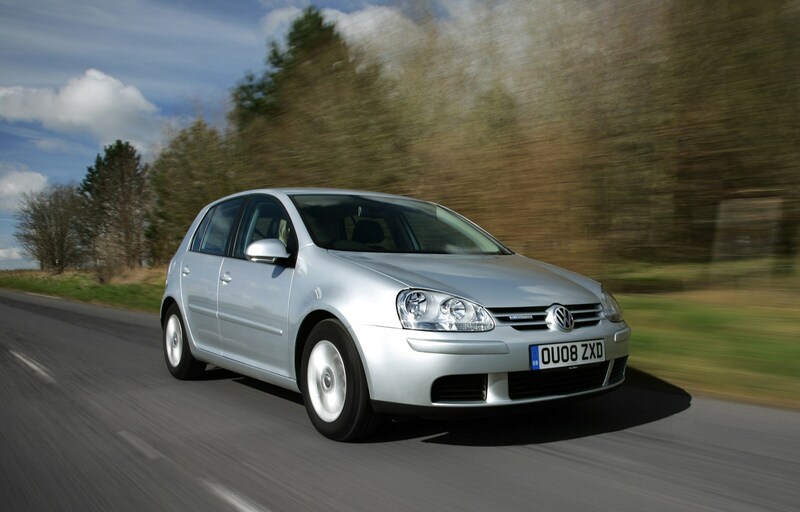 The storming R32 model went on sale in late 2005 and inherited the same 3.2-litre V6 from its predecessor, albeit with an extra 10hp (250). It could do 0-60mph in a tad over six seconds and featured four-wheel drive, stiffer suspension and beefier brakes to cope with its supercar-like performance. 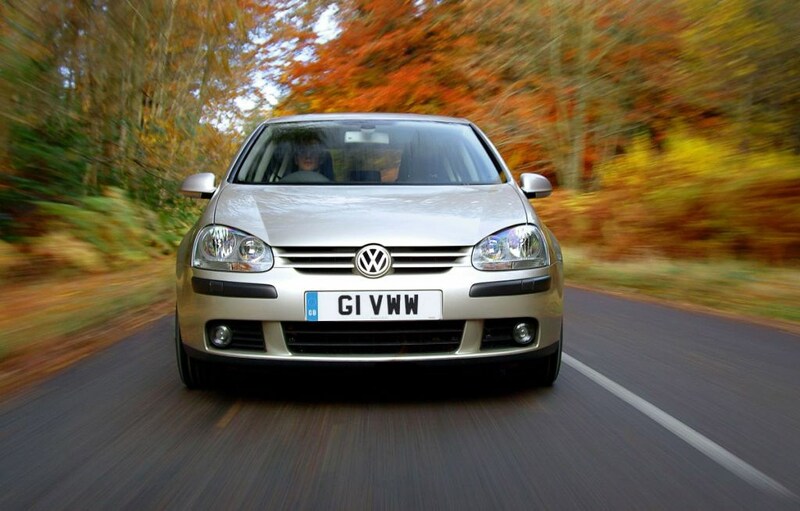 How does the VW Golf MkV perform? A standard 1.4-litre kicks off the range, but with only 75bhp on offer, it feels weedy and doesn't offer enough power for confident overtaking. The entry-level FSI is a 1.6-litre. 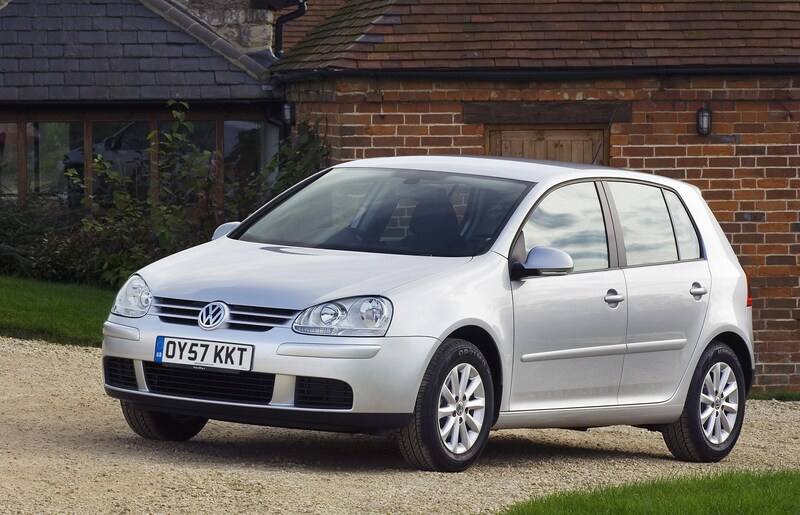 Volkswagen claims this petrol engine has diesel-like economy with petrol refinement, but in practice, you'll need a delicate right foot to get near the claimed figures. 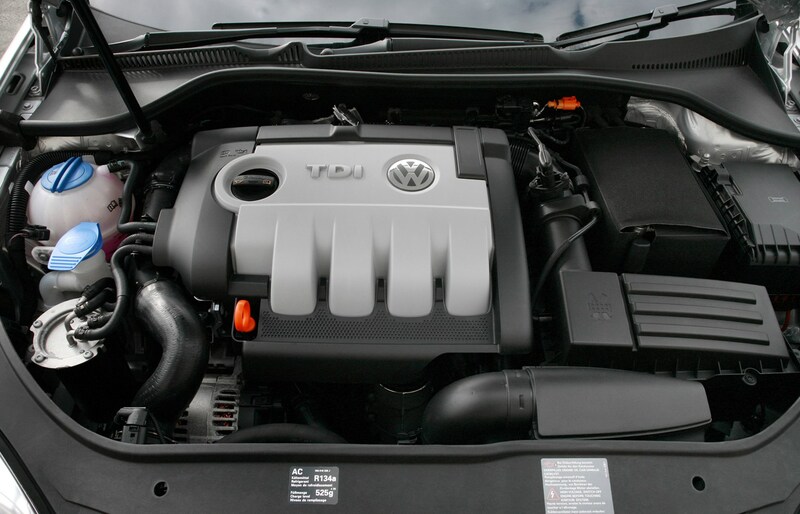 A 1.4 TSI model was launched in summer 2006 and despite the small engine size it's available with 140bhp and 170bhp - that's because it uses Volkswagen's latest engine technology that combines a supercharger with a turbo. Both outputs are excellent to drive, offering quick-off-the-mark performance, instant response and power when you need it. They're economical too, as the fuel-hungry supercharging equipment cuts out when it's not needed - mainly at higher speeds. 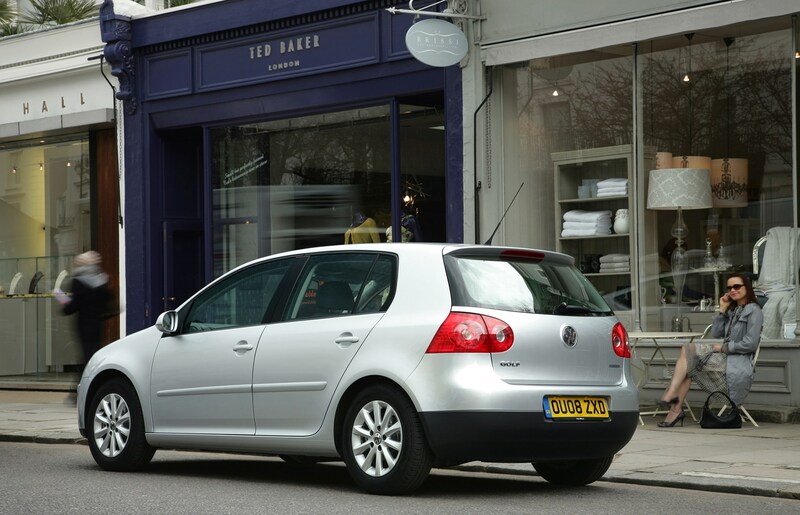 It's possible to get 38mpg and above in everyday driving, which makes the 1.4 TSI a faster, cheaper and quieter alternative to a diesel. 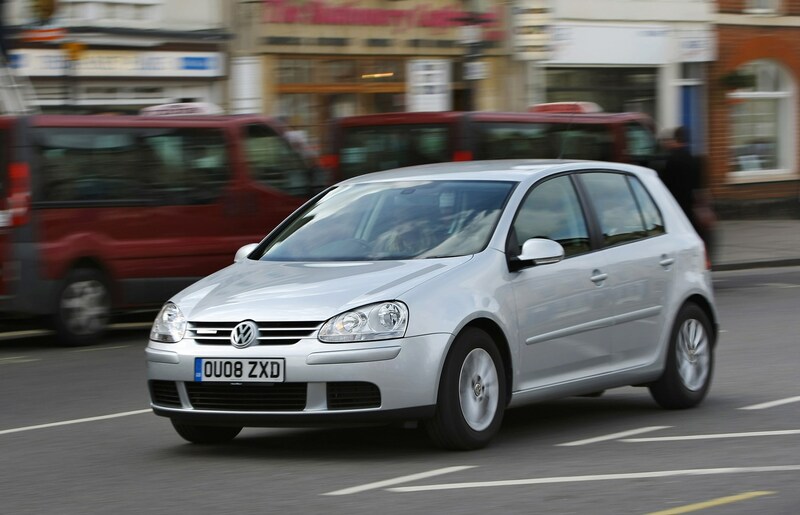 But Golf's three diesels are superb, offering low fuel consumption, pace and power. The 2.0 SDI is a bit old fashioned, gutless and often hard work, so go for a 1.9 TDI or 2.0 TDI - they're fast, torquey and fuel efficient, albeit noisy. The 1.9-litre gets 105bhp or 115bhp, while the 2.0-litre is available with 140bhp and - from July 2006 - 170bhp. 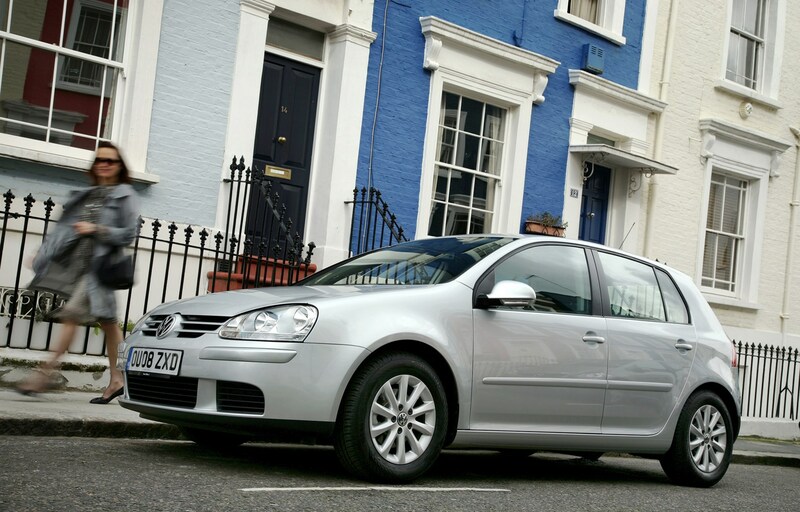 A tweaked version of the 1.9-litre TDI is used in the Bluemotion model and along with longer gearing, helps to deliver lower emissions of 119g/km and an impressive economy figure of 63mpg - plus there's no difference in performance over the standard 1.9 TDI. 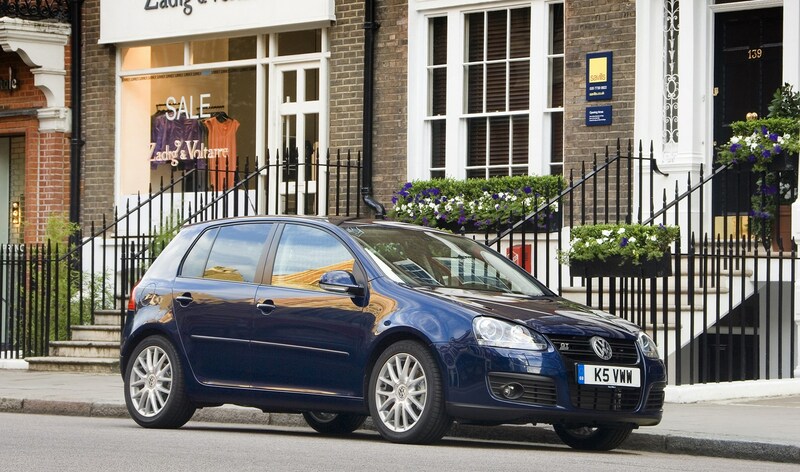 The Golf comes with either a five or six-speed manual and an excellent semi-automatic system called DSG. The 2.0-litre T FSI is a turbocharged engine that delivers 200bhp, propelling the GTI from 0-62mph in 7.2 seconds, but in everyday driving it feels even quicker than the figures suggest with excellent in-gear pace between 50mph and 70mph. The engine itself is smooth and free-revving but never sounds coarse even if pushed hard, while there's a nice rasp from the exhaust between gears. 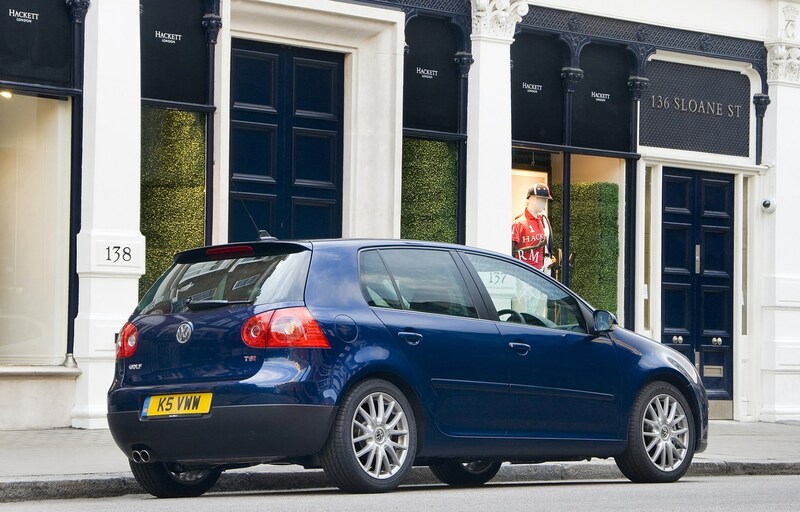 It's just as impressive at low speeds and thanks to a well-weighted clutch the GTI easy to drive in town. 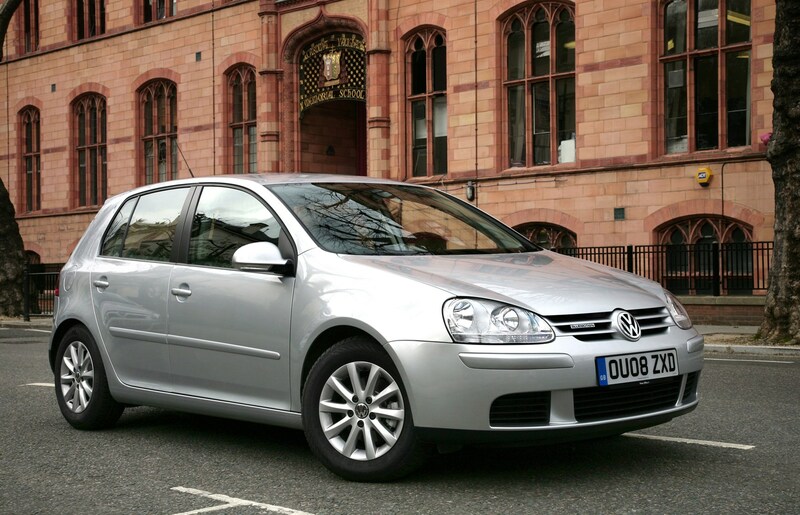 A six-speed manual gearbox is standard while Volkswagen's DSG double-clutch gearbox is an (expensive) option. Special edition GTI 30 and GTI Pirelli editions use the same engine but power is increased to 230bhp making them even more intoxicating to drive while the 0-62mph time drops to 6.8 seconds. 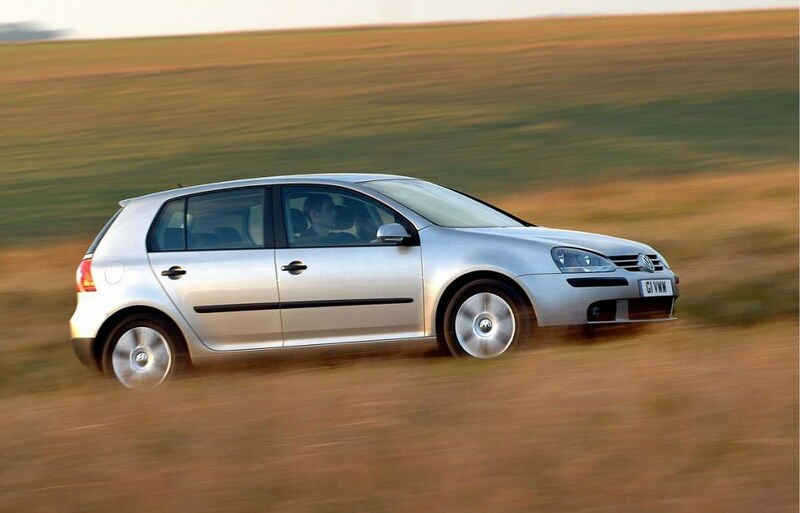 The R32 gets a 3.2-litre V6 that produces 250hp, making it the flagship of the Golf range. 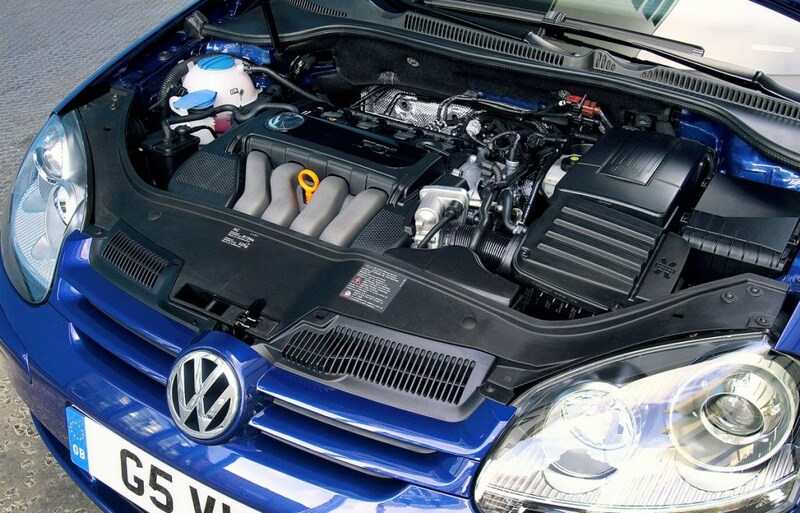 It's an engine that's found in many other Volkswagen Group cars including the Passat and Audi TT, A3 and A4. Although its performance figures are strong and acceleration is effortless - 0-62mph in 6.5 seconds and a top speed of 155mph - it's only half a second quicker than the cheaper 200hp 2.0T GTI. Where it does show its strength is its effortless acceleration from 50mph upwards, which makes overtaking - even in otherwise tight situations - a breeze. 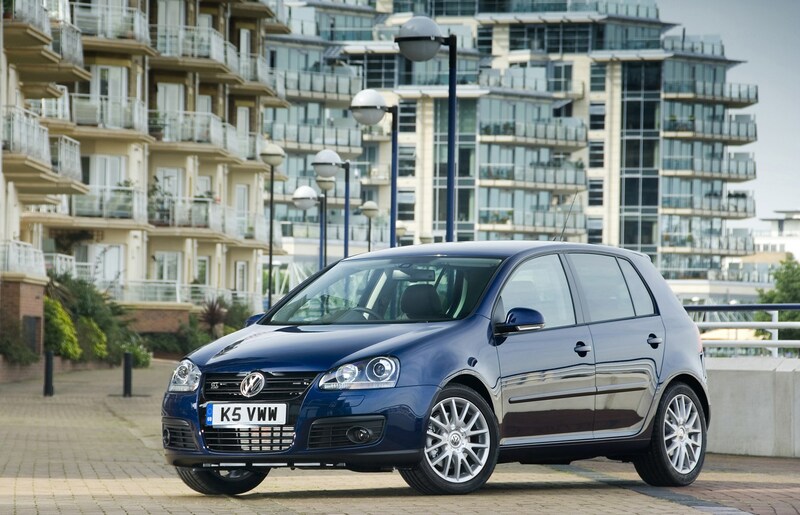 Buyers can choose between a six-speed manual or a DSG semi-automatic gearbox. The DSG provides lightning quick gearchanges. It uses two clutches - one is in gear, the other has the next gear pre-selected. It takes 0.03 of a second to change gear - that's faster than the blink of an eye. Comfortable, assured and predictable sums up the Golf. It's not quite as involving as the Ford Focus or as agile as the Honda Civic but it's enjoyable nonetheless and has excellent road manners. 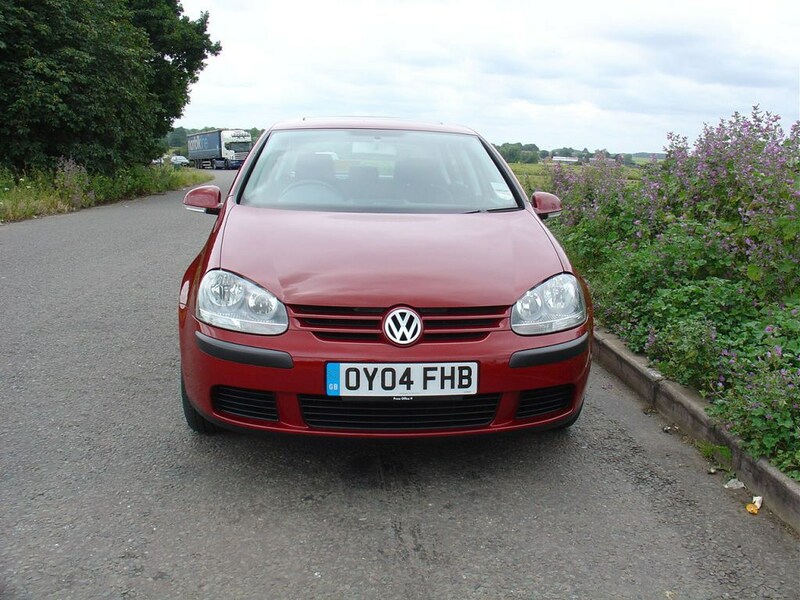 The suspension is well controlled over most road surfaces and makes for a hushed and smooth ride, reflecting the Golf's refined and grown-up nature. The slick gearbox offers quick and precise changes while the steering is nicely weighted and offers decent feedback. Quicker and more accurate steering sets the GTI apart from the standard Golf while a slick gearchange and responsive brakes add to the sporty feel. Back road driving is a blast, with plenty of grip and good traction out of bends. It feels incredibly composed but while it has great ability, it does lack the character of some alternatives such as the Honda Civic Type-R and feels a little clinical rather than truly engaging. The trade-off is that the Golf GTI is easy to live with day to day - around town the steering is light when you need it to be while ride comfort is good too. The suspensions is lower and stiffer than the standard car but it still soaks up bumps well. It's a very capable driving machine with little bodyroll, precise steering and rapid throttle response. 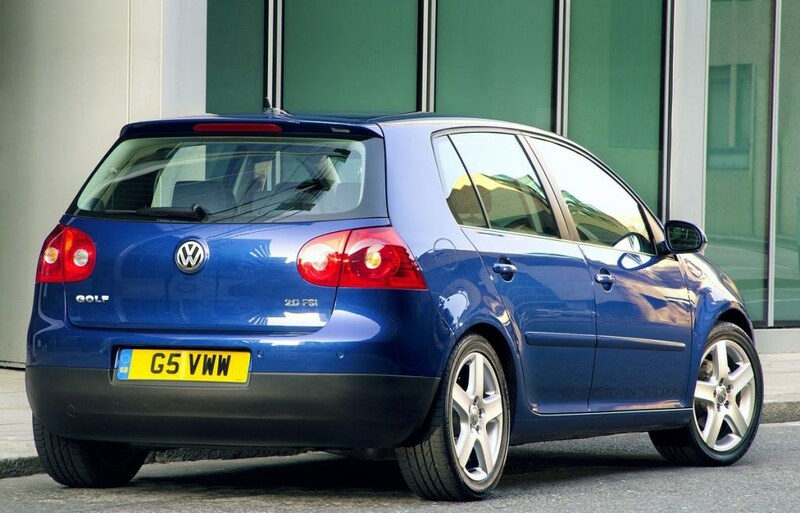 Suspension has been lowered by 20mm compared to the standard Golf and there are stiffer springs and dampers plus thicker anti-roll bars for better cornering. 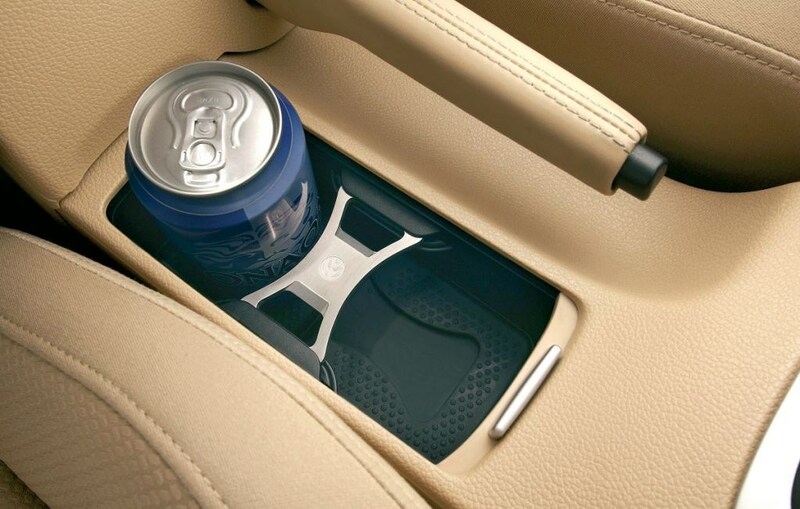 This has only a negligible effect on the ride, which remains smooth over most surfaces. 4MOTION four-wheel-drive and chunky 18-inch alloy wheels means that there's plenty of grip and assured handling in all weather conditions. To cope with the extra power, the brakes have been uprated and offer extra bite, with bigger discs. But the R32 isn't a brute to live with. In the town and city, the steering lightens up, making parking and nipping in-and-out of traffic easy. 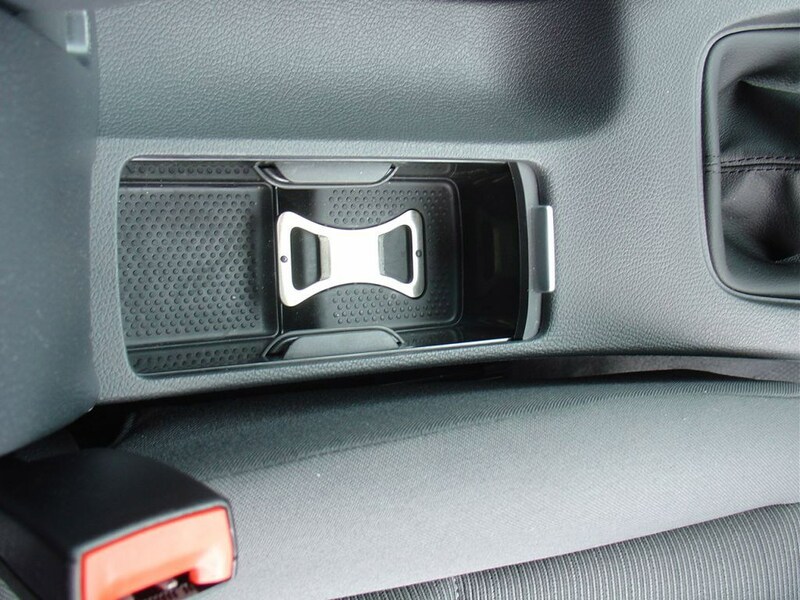 You can adjust the steering wheel for height and reach while the driver's seat is multi-adjustable too, which makes for a comfortable driving position. As well as being attractive, the dashboard is functional with large, easy-to-use buttons and - where fitted - a simple sat nav system. All the controls are close to the driver for on-the-move adjustments and the screen is close enough so you don't have to squint. The system is a bit slow however, but cars from March 2008 come with a much faster and slicker system. The sat nav directions - as well as average fuel consumption, radio station, time and range are displayed in a panel in the instrument cluster, so you only have to momentarily take your eyes off the road. Thanks to plenty of adjustment in the driver's seat and steering column it's easy to find the perfect driving position in the GTI and the quality of the interior is superb. The blue backlit controls and dials give a premium feel to the cabin and all the switchgear works with robust precision. The flat-bottomed three-spoke steering wheel (complete with GTI badging) adds to the sporty feel as do the aluminium pedals. 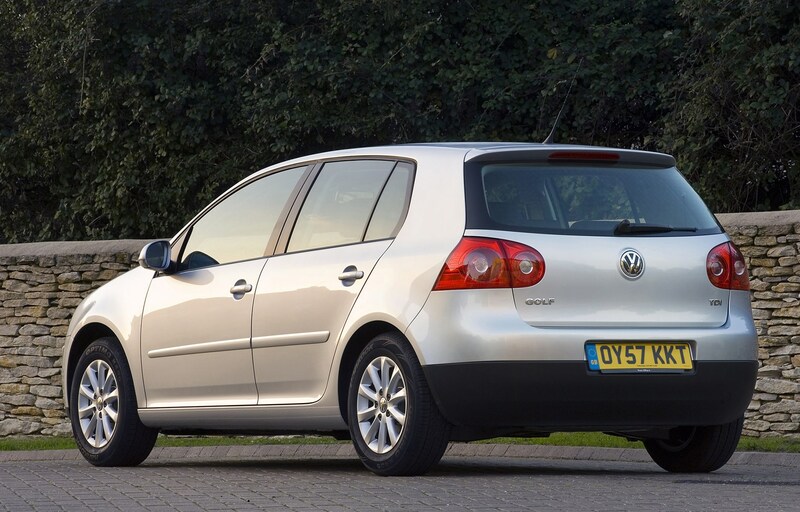 It may not have the special feel of some hot hatches but there's an understated air of quality about the Golf's cabin that few cars can match. The Pirelli special edition model feature unique seats complete with a tyre tread pattern plus yellow stitching on the steering wheel and gear lever. 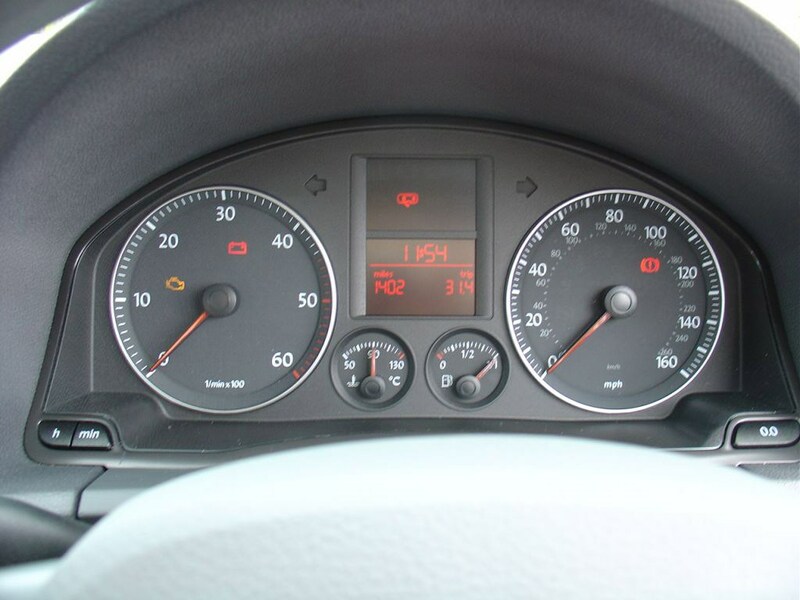 The instruments are clear to read and easy to use (unique to the R32 are blue needles on the dials), although the multifunction trip computer, controlled by a button on the dashboard can take a little time to master. 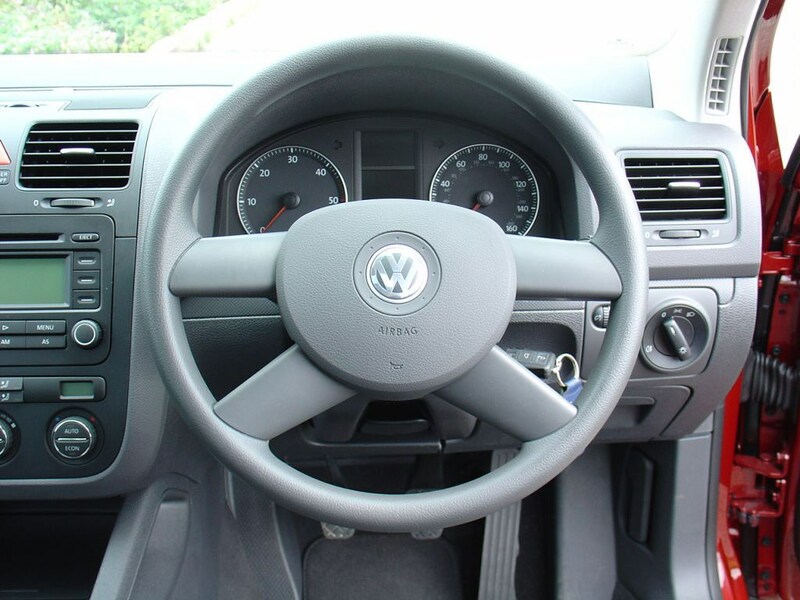 The steering wheel is similar to that on the GTI, with a flat bottom while DSG gearbox models add gearshift paddles. 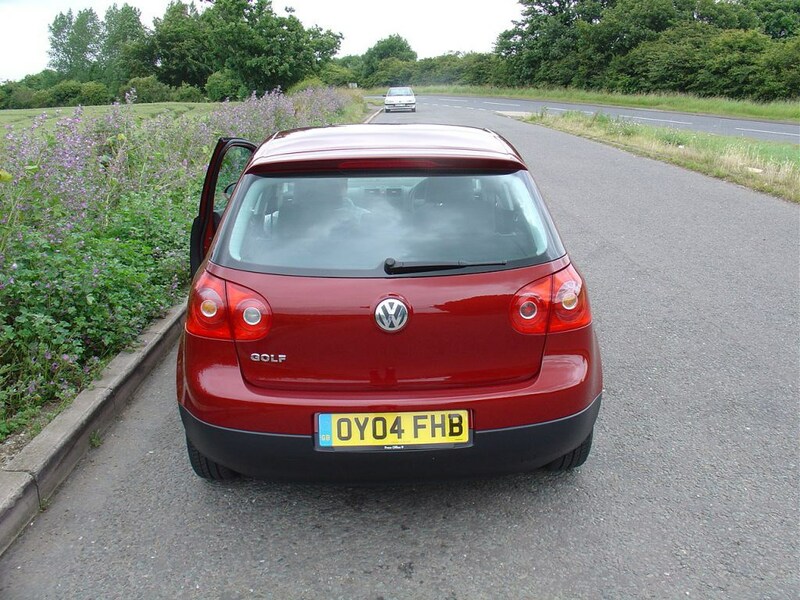 Like the standard Golf, the buttons and switches are easy to find and simple to use, but the chunky windscreen pillars can restrict the view when pulling out of junctions. There's generous legroom in the back for two and there should be few problems for three children while front passengers get a good amount of leg, head and shoulder room. The seats are on the firm side, but supportive for longer trips plus the cabin is very refined, with wind, road and engine noise (in the petrols) well suppressed. It feels more sophisticated at night than most small hatchbacks, with soothing blue backlit dials and displays. The interior is well trimmed and inviting - especially at night when the instruments are illuminated by soothing blue backlighting. 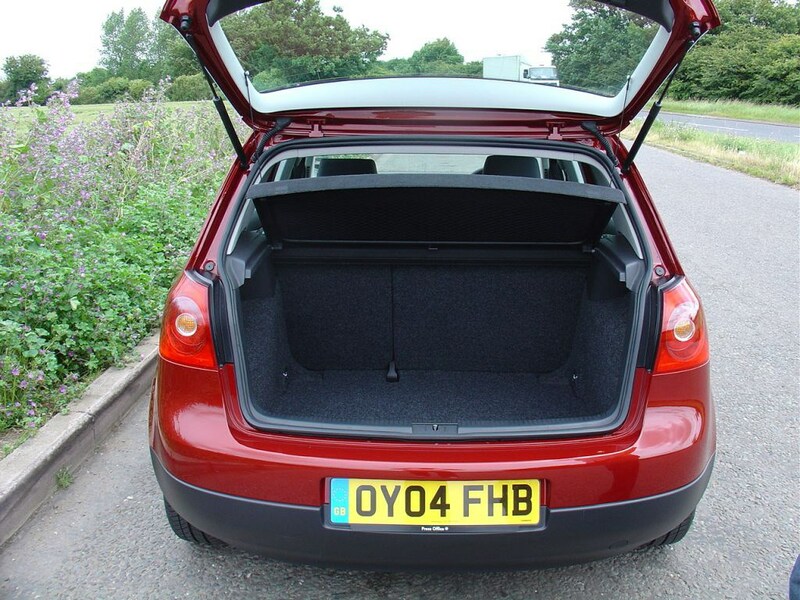 There's a generous amount of room for the front passenger, while the rear comfortably accommodates two (three at a push). 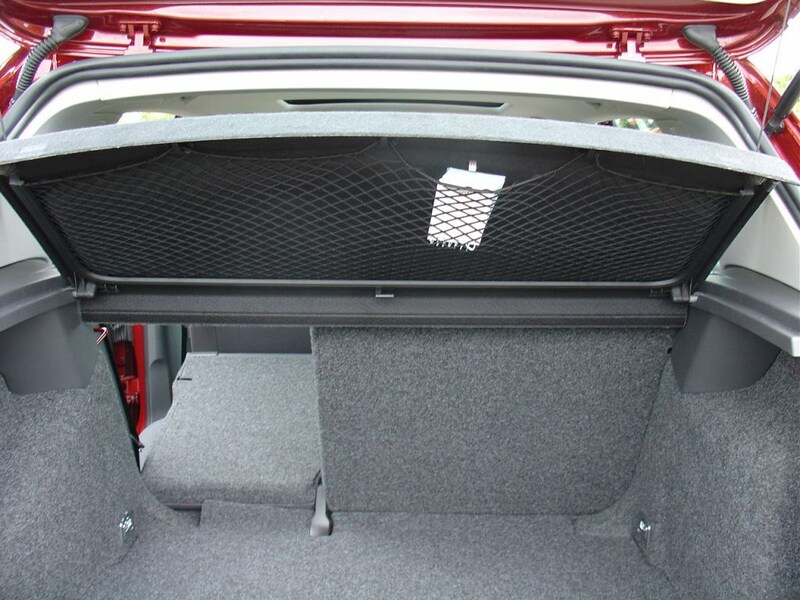 The front sports seats give good support and are adjustable while the retro chequered seat fabric (just like the original GTI) is standard, although other colours are available. 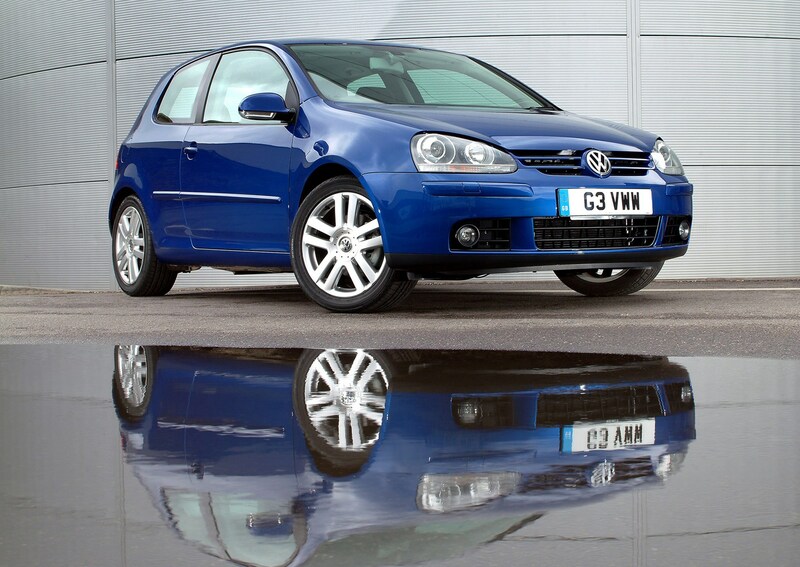 Thanks to the impressive ride quality the Golf is comfortable, even on uneven surfaces while road and wind noise are minimal. 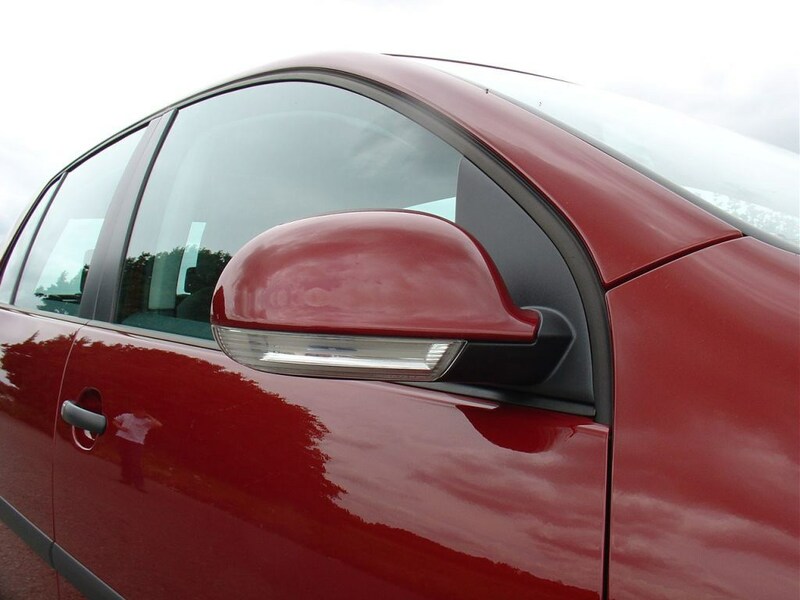 The cabin styling is as restrained as that of the exterior. It's sober, but sophisticated, well proportioned and comfortable. 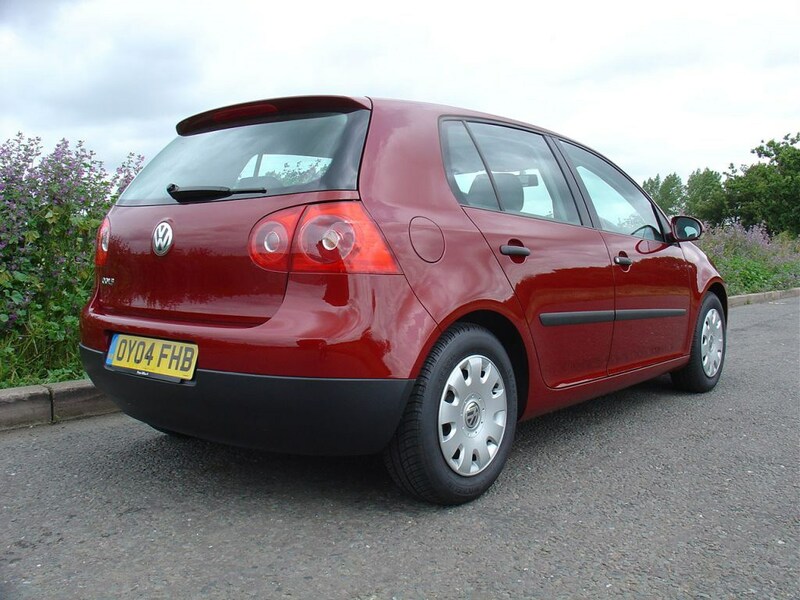 But there are a few clues to show that this is a special Golf, with aluminium trim and small 'R32' badges. 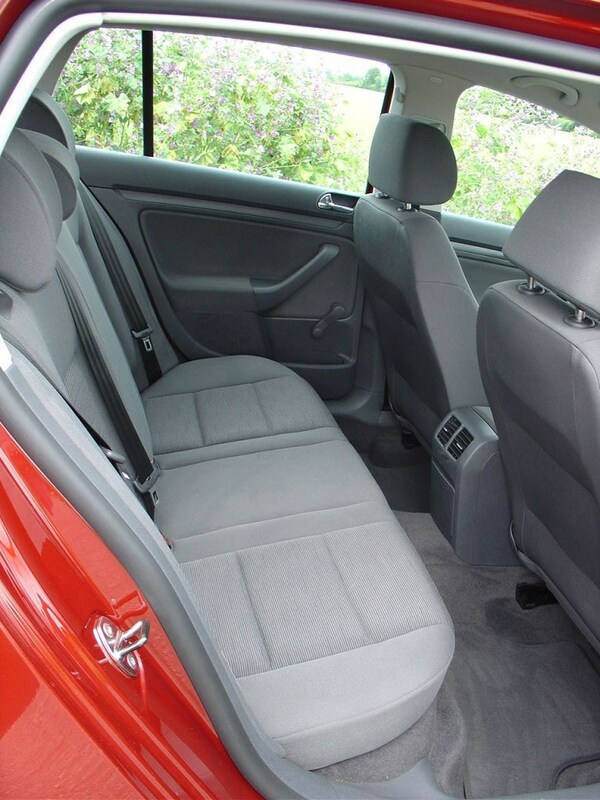 The front sports seats are highly adjustable and give good support and there's plenty of room for the front passenger. 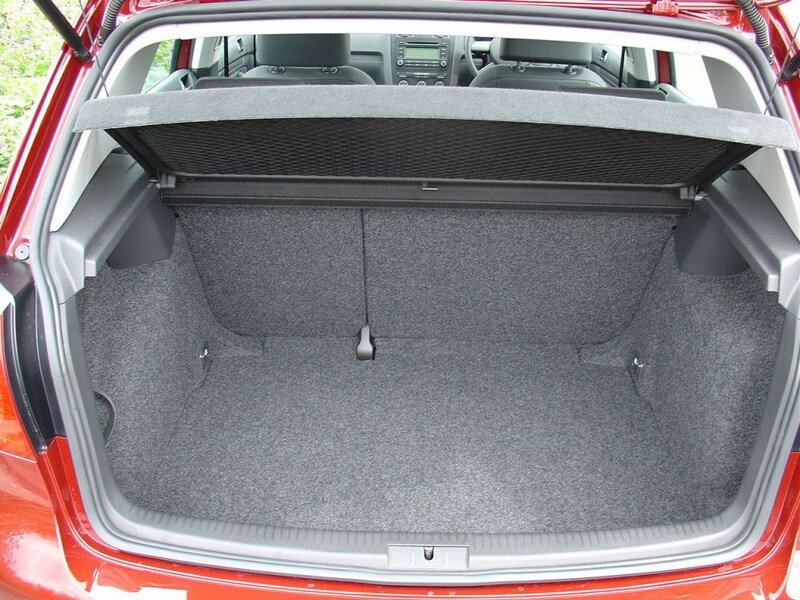 Excellent sound insulation means that motorway trips are refined and relaxed, although it does mean that the engine note is suppressed at times when it deserves to be heard.